The bespoke system has separate functionality for cars and vans and includes the latest optional vehicle features. 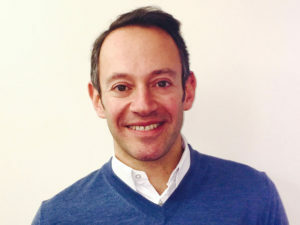 CD Auction Group has developed and launched a new vehicle inspection system that it says will provide more consistent, specific and accurate vehicle descriptions on its online auction site – plus offer corporate vendors fully costed remarketing reports. The bespoke system has separate functionality for cars and commercial vehicles to allow more accurate reporting. It also includes the very latest optional vehicle features (such as ‘power tailgate’ or ‘phone connectivity’). Fatal casualties along the A9 have dropped by over 44% and serious injury casualties by over 42%. 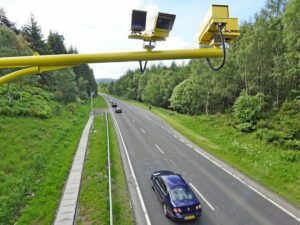 Average speed cameras installed on the A9 in 2014 are continuing to bring about improvements in driver behaviour and a corresponding fall in collisions and casualties, latest figures indicate. The data from the A9 Safety Group for the last 27 months shows the number of fatal and serious casualties between Dunblane and Inverness is down by almost 43%. There have been no fatal casualties between Dunblane and Perth and a reduction of almost 40% in fatal casualties between Perth and Inverness during the monitoring period. Next month will also see the launch of a specific safety campaign focusing on driver behaviour related to distraction. Work-related road safety should be higher up the business agenda, says IAM Roadsmart. IAM RoadSmart has called for work-related road safety to be at the core of good corporate governance for every employer, as part of its 12-point manifesto for the incoming government. The road safety charity also says making informed procurement choices is vital, with the manifesto urging Defra to implement cross-government procurement rules which accelerates the uptake of safe new vehicles with features such as autonomous braking. It adds that public and private sector companies should only issue contracts to firms with driver risk management policies in place. And IAM has also called on local councils and central government to protect long-term funding to “finally eradicate the road maintenance backlog”. 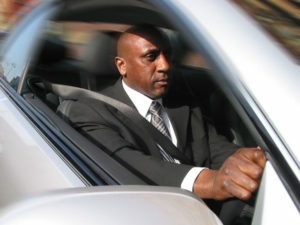 Meridian MD Phil Jerome says the new service solves the issue of risk management on medium-term rental pool vehicles. A new safety inspection service for medium-term rental cars being used as pool vehicles is to debut from Meridian Vehicle Solutions. The company says it’s seeing growing numbers of fleets turning to its medium-term rental s0lution to meet pool car needs – according to Meridian its rates are normally around 15-20% more than traditional contract hire but “substantially less” than short-term rental – and comments that the addition of the risk management inspection service makes sense as an enhancement to its overall offering. 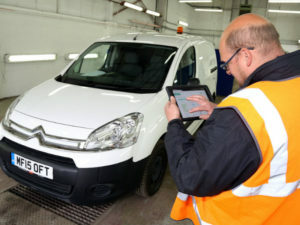 The solution will provide a regular safety assessment of the vehicle in line with the fleet’s own risk management policy to carry out the necessary inspection to standards that meet the fleet’s own, pre-agreed risk management strategy. Samsung SDI has opened its first European electric vehicle battery factory in Hungary, capable of building 50,000 units per year and supporting what’s said to be a fast-growing local market. The 330,000 square metre site in Goed, near Budapest, will begin production in the second half of 2018 and gives the South Korean company a manufacturing base near BMW and the Volkswagen Group, both of whom use its batteries in their plug-in vehicles.